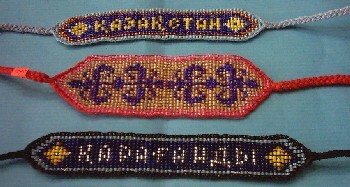 These are handcrafted beaded bracelets. Please specify wether you want a wide or thin version. They are all multi-colored and unique.